On 24 and 25 May p.v. 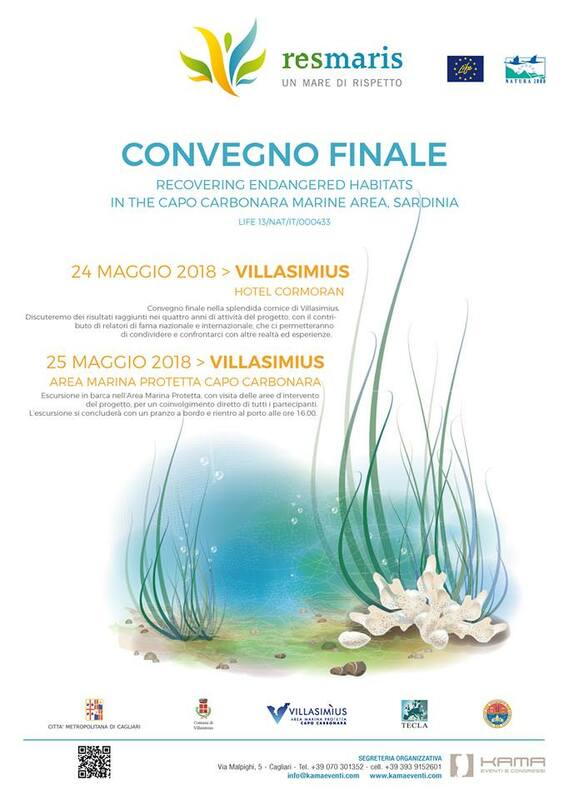 in Villasimius the final meeting of our LIFE RES MARIS project will take place. 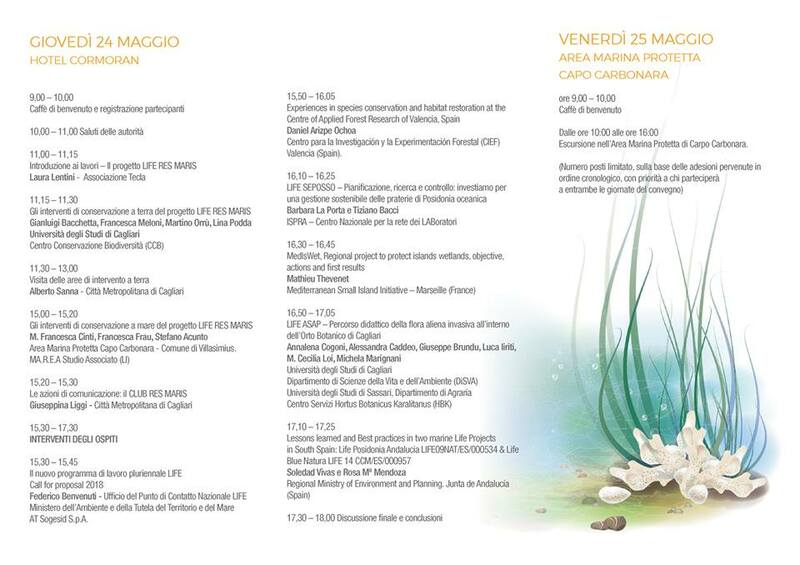 On May 24th, from 9.00 to 18.00, at the Cormoran Hotel, the conference time, an important opportunity to present the results achieved in the four years of activity, reflect, share and discuss with other experiences realized at national level and international. During the course of the work we will also visit some areas of intervention of concrete actions on the ground. 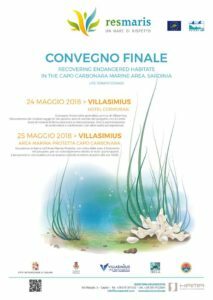 On May 25th, from 9.00 to 16.00, with meeting at the Tourist Port, boat trip in the Marine Protected Area Capo Carbonara with a visit to the areas of intervention.